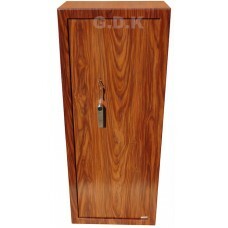 At GDK, we have recently produced the highest quality wood effect gun cabinets on the market. 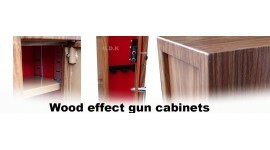 Our walnut wood effect gun cabinets are the perfect way of having your gun cabinet on show within your house. 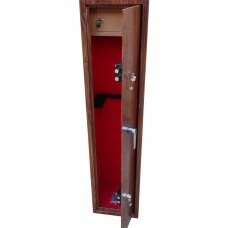 Our models currently range from 3 gun cabinets - 6 gun cabinets, however, over the next few weeks, we will be introducing an 8 gun cabinet and an ammunition safe. 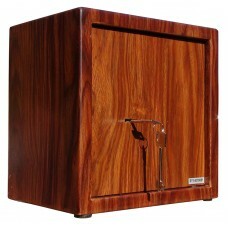 Premium wood effect ammo safe Police Approv..
Our premium wood effect gun cabinet gives you t..
6 Gun cabinet wood effect with inner ammo safe .. 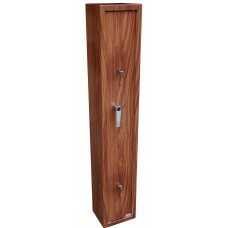 Premium wood effect 8 gun cabinet with inner am..